This course will benefit students who are in 1st and 2nd year. Topics on the Junior Certificate curriculum will be covered on an interactive basis. Strong emphasis on the Irish Oral.Students can Learn to Love Irish on the Dingle Peninsula in the heart of West Kerry Gaeltacht. A college for primary school children aged 10 years and upward. Special emphasis is placed on suitable afternoon activities and of course the younger the students, the easier for them it is to become fluent in spoken Irish. Coláistí Chorca Dhuibhne run a 3 week and a 2 week Irish summer residential programme at Coláiste Íde on Dingle Harbour. Coláiste Íde is a 18th c manor house. All students stay at the Boarding College. 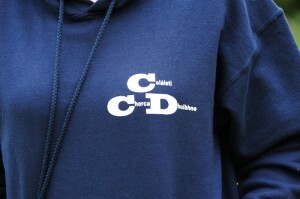 Coláiste Íde is inspected by the Department of Community, Rural and Gaeltacht Affairs and officials from Coláistí Chorca Dhuibhne. All programmes are tailored to the individual needs of each school. Students and teachers stay with Bean an Tí and experience the spoken Irish language naturally amongst the household. Irish language classes are available for Leaving Certificate groups in preparation for the Scrúdú Cainte which is worth 40% of the total marks. There is an emphasis on literature, poetry and cultural trips around the locality all through the medium of Irish. Students can Learn to Love Irish through an Immersive experience in a natural friendly setting on the Dingle Peninsula in the heart of West Kerry Gaeltacht. Emphasis is placed on the spoken language, grammar, The Fillteán Foghlama and preparation for the Irish Oral. Irish Topics are focused on the Primary Curriculum. Students also experience a taster of our vast array of literature, culture and traditions of the Dingle Gaeltacht. Interactive teaching methods are used in classes.